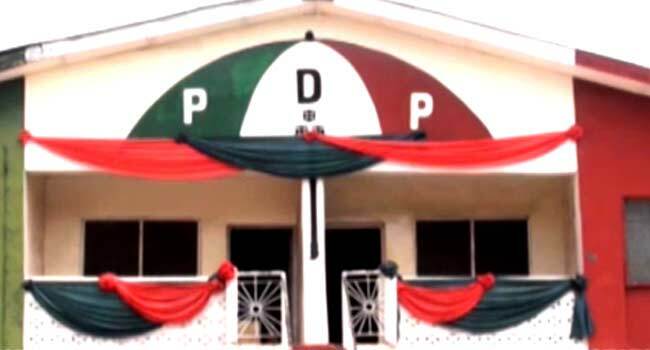 The Peoples Democratic Party (PDP) in Osun State says the wave of defection in the All Progressives Congress (APC) has created fear in the ranks of the ruling party in the state. In a statement on Sunday by its spokesperson, Mr Diran Odeyemi, the opposition commended the exit of those it described as “true patriots and critical stakeholders in the affairs of the state” from the APC ahead of the September 22 governorship election in the state. It advised the ruling party to perish purported thoughts of rigging the poll, saying the people of Osun were ready to protect their votes. The PDP also warned the Independent National Electoral Commission (INEC) and security agencies not to allow themselves to be used to rig the election. It congratulated the old PDP members that were returning to its fold after sojourning in APC, describing their decision as a bold step towards rescuing Osun. The party urged those that have yet to return and others with genuine interest of the state at heart to join efforts aimed at returning Osun on the path of progress. The statement read: “It is obvious there is growing anxiety in the ranks of the All Progressives Congress in Osun ahead of the governorship poll because of gains the PDP has recorded. In his reaction, the APC Director of Publicity and Strategy in Osun, Mr Kunle Oyatomi, described the statement of the PDP as a joke. Oyatomi was confident that the ruling party would win the governorship election, saying they were not bothered about those who defected. “As it stands today, the APC is firm and strong, it makes us know that we are well loved by the people even more than before. We are not losing sleep over anyone that has left either to PDP or the ADP. “Whatever it is that pushed them out of the party which they think they can get from any other party is a huge joke because they cannot get it,” the APC chieftain stressed.